Recognized by Time Magazine as one of the 25 Most Influential Hispanics, Salma Hayek is a international celebrity, beauty icon, actress, director and producer. She has endorsed many of the world’s most famous brands including Avon and Revlon. 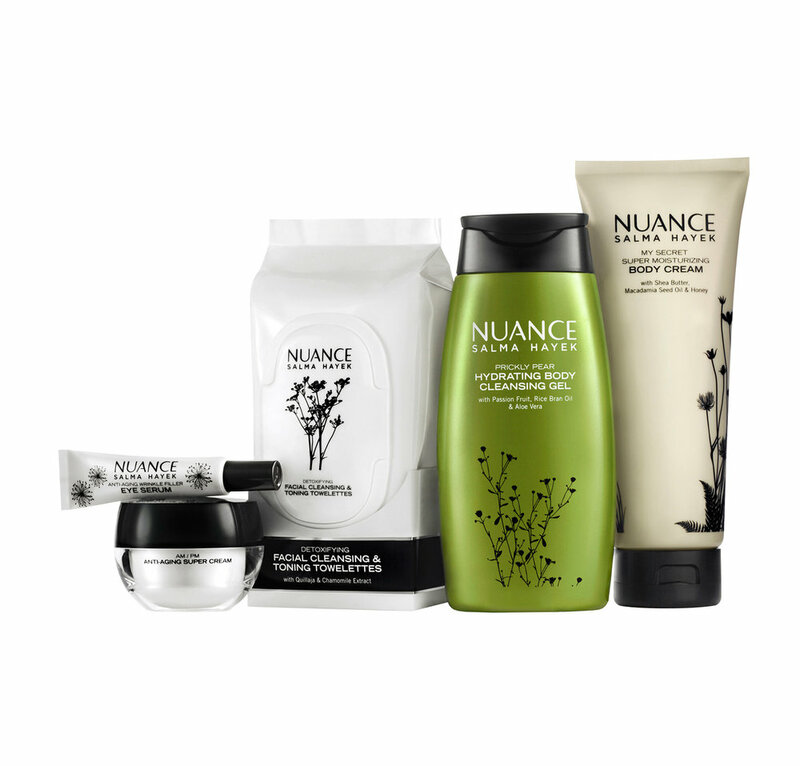 Inspired by Hayek’s grandmother, a cosmetologist, who developed her own homemade beauty remedies, we worked closely with Salma to create a comprehensive health and beauty program, NUANCE by Salma Hayek, in an exclusive partnership with CVS/Pharmacy that launched in 2011 in over 7,000 stores. This high-end yet approachable beauty line is designed to enhance every woman's individual beauty, at a price that she can afford.